With the news this morning that Scribd has thrown in the towel on unlimited ebook subscriptions, Amazon is the last player standing with an “all-you-can-eat” ebook subscription offer for a general audience. The juxtaposition of the publishers’ insistence on being paid full price for ebooks being lent once and the late Oyster’s and the now thrice-hobbled Scribd’s (they did a reduction of their romance offering last summer and then cut back on audiobooks to stem prior waves of over-consumption) pursuit of customers with an unlimited-use offer was always doomed. The only hope for the subscription services was that they would grow so fast that publishers wouldn’t be able to live without their eyeballs and would relent on the sale price. When Digital Reader reported the Scribd news this morning (the first place I learned of it, although I learned a lot more when I saw the Pub Lunch account an hour or two later), they also linked back to a story I’d missed in October explaining that Amazon was fiddling with what they put in their own unlimited sub offer, Kindle Unlimited. A lot, if not most, of what Kindle Unlimited “lends” are ebooks compensated for by a “pool” of cash Amazon puts in each month. The size of that pool is solely determined by them and the per-page compensation for those books has inched downwards. 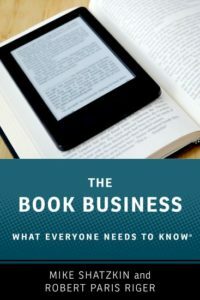 Nonetheless, in the aggregate it amounts to a lot of money that is available only to ebook “publishers” (usually indie authors) who give Amazon an exclusive ebook license for the title. The publisher can sell print and audio elewhere, but if they want to share in the KU pool their ebook has to be Kindle only. The disruptive news that I had missed last October is that a handful of smaller publishers — not just indie authors — are now seeing it as financially beneficial to be Kindle-only for ebooks. This next bit is reporting what is still a rumor. But I have just been told by somebody who would know that Barnes & Noble will be withdrawing Nook from the UK market. That news is unrelated to the subscription business, but it is additional good news for Amazon. For anybody concerned about a diverse ebook marketplace, these are ominous developments. With both the biggest ecosystem and the deepest pockets, Amazon can afford to continue to reward ebook copyright owners with increased compensation for exclusivity. As their share grows, it will be increasingly tempting for ebook publishers, be they indie authors or something a bit larger, to take the higher rewards for cutting out the other ebook vendors. And so Kindle progressively builds a better catalog than any of its ebook competitors. Which leads to more market share. Etcetera. Or, in the modern parlance, “rinse and repeat”. With Kindle Unlimited now the only “unlimited” ebook subscription play left (although Scribd can still claim a better selection of titles, at least for a while longer), presumably its market share will also continue to grow. As that happens, even big publishers may start to see financial benefits in putting some titles from their backlist into it. (Who knows? Authors, working on a percentage of the ebook revenues, might start insisting on it!) If and when that starts, the challenge for iBooks, Nook, Kobo, and Google to maintain a competitive ebook title offering will escalate. Presumably, there is some percentage of the ebook market that Kindle could control that would lead to anti-trust concerns. Their share has been growing almost inexorably since the Department of Justice and Judge Cote put their thumbs on the scale a few years ago to punish the publishers and Apple for what they saw as price-fixing. 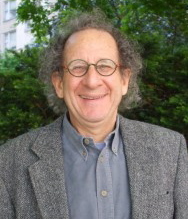 We will look for enlightenment on this subject from anti-trust attorney Jonathan Kanter at Digital Book World. Is there any percentage of the ebook market that if one entity controlled it would constitute a prima facie monopoly that calls for government action? Or even of the total book market, including print? Even before we get to whether they plan 100 or 400 bookstores beyond the one they’ve got and the one more they are apparently planning, it is hard to see what will impede the growth of Amazon’s ebook market share. Inexorable growth by Amazon? That’s a topic we’ve been thinking about for years. I was kicking this post around with Pete McCarthy before publishing it. I’m really struck by a point he made to me. Pete points out that buying and owning units of content has become anachronistic behavior for music and video. Kids today don’t stuff their own iTunes repository. They eventually move from streaming YouTube to subscribing to Spotify. (And that’s why Apple started Apple Music.) Nobody buys videos anymore; we just subscribe to Netflix or take temporary custody of content through an “on demand” service. So book publishers are probably fighting a rearguard action trying to perpetuate the “own-this-content” model, particularly at relatively higher prices than they could command last year or five years ago. But Amazon continues with Kindle Unlimited, able to shift their economics without disrupting their business. And, if Pete McCarthy’s insight about the direction of consumer behavior must inevitably extend to books — and renting access to a repository becomes the dominant model replacing owning-your-content — that’s another way they’re better positioned than anybody else to dominate the last mile of book distribution in the years to come. Publishers should always be aware that it’s a risky business to have a business model that contradicts the trends in consumer behavior.